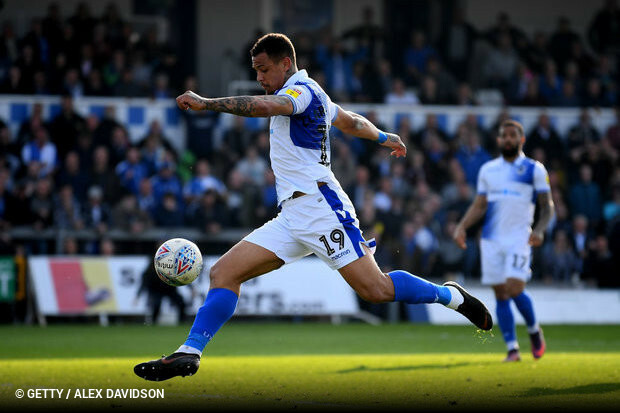 Since joining Bristol Rovers in the January transfer window, forward Jonson Clarke-Harris has made serious waves with the Pirates. The striker was in unstoppable form for Rovers throughout March: scoring 3 more league goals than any other top 4 tier player. After ushering the month in in style with a hat-trick against Blackpool, the former Coventry City man left a trail of desolation in his wake in the third tier: adding further strikes against Scunthorpe, Gillingham, Plymouth, Doncaster and Luton. Clarke-Harris' haul has been hefty, but has also had real quality - his strikes from outside the box against Gillingham and Plymouth Argyle both comfortable 'Goal of the Month' contenders.